For acneic skin this facial effectively penetrates pores to dissolve impactions , pustules and blackheads. salicylic acid and hydrogen peroxide kill bacteria, reduce inflammation and remove excess cell debris to leave the skin hydrated, purified and clear. includes exfoliation and extended extractions. PCA sensi peel is added to our signature enzyme facial to treat/correct fine lines, pigmentation, dehydration, rosacea and acne. May experience light flaking or peeling. Retinoids or prescription topicals must be discontinued 3-5 days prior to treatment. this guy-centric facial combines deep pore cleansers, exfoliators, and masks strong enough for a man, mixed with male-strength serums and moisturizers to leave your skin purged of impurities and looking youthful. hot steam towels, extractions, dermafile, and ear/nose wax round out the experience. clean up "bacne" congestion with our customized back treatment. tailored to your specific skin type and condition. skin is left feeling and looking more clear and even. includes exfoliation and extractions . exfoliating treatment using a surgical stainless steel blade. reduces the appearance of acne scars and fine lines by removing the outer most layers of dead skin, fine vellus hair (peach fuzz) and will leave your skin smooth and glowing. Dermaplaning cannot be performed over active acne. This treatment does not offer extractions. We begin with full face & neck Dermaplaning which is an exfoliating treatment using a surgical stainless steel blade. This reduces appearance of acne scars & fine lines by removing outer most layers of dead skin, fine vellus hair (peach fuzz) & will leave your skin smooth & glowing. We then apply our SparkLING champagne rosé 02 bubble mask containing Resveratrol from red grapes and goji berry extract delivering potent antioxidants. Followed by a spray infusion of award winning Oxygen Plasma Potion to revive dull, tired skin & replenishing moisture giving skin a plump dewy appearance. Recommended for: Dull skin tone and tired complexions. The Hydra Refining Facial removes dead skin cells and extracts impurities with nutrient rich fluid cyclone suction to target your skin imperfections without injuring or damaging the skin surface while simultaneously infusing the new skin with purifying, hydrating, and corrective serums. Multi LED light therapy along with Thermal Heat to improve blood circulation, tighten skin and minimize pores. This treatment is soothing, refreshing, non-irritating, and safe for all skin types. immediate results with NO downtime or discomfort. All the benefits of our Hydra Refining facial with the addition of Glycolic and Salicylic treatments along with additional extractions with our sonic spatula and Blue LED light therapy to ward off bacteria associated with acne. This effervescent facial delivers oxygen into the deepest layers of your skin via three different methods to energize, brighten, clarify and build collagen. After steam with our Ling Enzyme mask and Red LED light therapy we perform thorough extractions via our Hydra Refining machine to give a deep clean. Next, we apply our SparkLING champagne rosé 02 bubble mask containing Resveratrol from red grapes and goji berry extract delivering potent antioxidants. Followed by a spray infusion of award winning Oxygen Plasma Potion to revive dull, tired skin and replenishing moisture giving skin a plump dewy appearance. Recommended for: Dull skin tone and tired complexions. Elevate our Hydra Refining Facial complete with extractions and LED therapy with the groundbreaking ReZENerate Nanofacial. This treatment drastically improves skin utilizing cutting edge verified Nanotechnology. In a matter of minutes of conditioning the skin the Rezenerate chip creates millions of microscopic channels PAIN FREE in the top most layers of the skin thereby making it up ultra absorbent for products. Safe enough to treat lips and directly under eyes and eyelids. Serums are custom selected to your skin concern to treat tone, texture, pigmentation, and fine lines. Treatment ends with a soothing collagen sheet mask, additional LED light therapy and soothing cooling nano globes. Start your custom ReZENerate treatment with our exfoliating Dermaplaning treatment. A surgical stainless steel blade removes the outer most layers of dead skin and fine vellus hair prepping your skin for ultimate product absorption. Does not include extractions. We then start your ReZENerate Nano infusion treatment. In a matter of minutes of conditioning the skin the Rezenerate chip creates millions of microscopic channels PAIN FREE in the top most layers of the skin thereby making it up ultra absorbent for products. Safe enough to treat lips and directly under eyes and eyelids. Serums are custom selected to your skin concern to treat tone, texture, pigmentation, and fine lines. Treatment ends with a soothing collagen sheet mask, LED light therapy and soothing cooling nano globes. Treatment concludes with cooling globes, additional LED light therapy and sun protection. Mask goes home with your for one more additional use. See the difference for yourself! *we do not perform waxing services on clients currently taking Accutane or using topical acne products such as Retin A, Renova, or Differin. please let us know if you are using any of these medications so we may discuss your options. Cirepil® is available in both Strip and Strip-less wax. Cirepil® maintains the integrity of skin. Gentle low temperature wax, applied very close to skin temperature. Innovative shrink wrap technology surpasses all waxes on the market. Less sticky and cleaner than traditional waxes. Superior anti-irritant ingredients to ensure less inflammation. PCA SKIN professional treatments are scientifically formulated to gently stimulate, firm and tighten skin. Advanced ingredients are carefully blended and work synergistically to remove dull, damaged surface layers without the downtime often associated with chemical peels. PCA SKIN products and professional treatments are designed to work synergistically to target and treat troublesome skin conditions at the cellular level using a progressive, not aggressive, philosophy. Appropriate PCA peel will be chosen for your skin needs by our licensed Esthetician prior to treatment To book online select "PCA Peel Customized at appointment"
will strengthen and brighten the skin while helping to treat sun damage and other forms of hyperpigmentation. this multi-faceted treatment also provides anti-inflammatory, anti-acne and antibacterial action, making it an excellent choice for helping to calm rosacea. specially formulated to treat dehydrated, maturing skin and is also appropriate for many other skin types, conditions and sensitivities. it will help treat pigment disorders, fine lines, sun damaged skin and acne. overall the final result will be plump, hydrated and ultra soft skin. these peels soften the depth of surface lines around the eyes and nasalabial folds, help clear acne, smooth skin texture and even skin tone especially in oily skin. each peel blends AHA with kojic acid, (with or without hydroquinone,) with standard jessner’s solution to address and prevent hyperpigmentation and inflammation. the smoothing body peel is a treatment specifically for the skin on the body. an exclusive blend of TCA, salicylic acid, lactic acid as well as L-arbutin, L-lactic and kojic acids provide smoothing, firming and brightening benefits, producing an overall improvement in skin tone, texture and appearance. For best results, it is recommended that you use PCA SKIN daily care products 10-14 days prior to treatment. Do not go to a tanning bed (EVER) but minimum of two weeks prior to treatment. This practice should be discontinued, due to increased risk of skin cancer and signs of aging. It is recommended that sun exposure be avoided 10 days prior to treatment. It is recommended to delay use of Retin-A®, Renova®, Differin®, Tazorac®, Avage®, and high percentage glycolic acid products for approximately five days prior to treatment. Consult your physician before temporarily discontinuing use of any prescription medications. After receiving a PCA SKIN® professional treatment, you should not necessarily expect to “peel.” However, light flaking in a few localized areas for several days is typical. Most patients who undergo these treatments have residual redness for approximately one to 12 hours post-procedure. -If the skin feels tight, moisturize as needed throughout the day. It is recommended that other topical, over-the-counter medications or alpha hydroxy acid (AHA) products not be applied to the skin seven days post procedure, as they may cause irritation. Avoid direct sun exposure and excessive heat. Do no have electrolysis, facial waxing or use depilatories for approximately seven days. Do not put the treated area directly into a hot shower spray. Do not use loofahs or other means of mechanical exfoliation. Do not direct hair dryer onto the treated area. DO NOT HAVE ANOTHER TREATMENT UNTIL YOUR CLINICIAN ADVISES YOU TO DO SO. *Includes: Swedish, Sports Massage, Prenatal Massage, Positional Release, Deep Tissue Massage. Sessions may also include Myofascial Release, Basic Reflexology, Basic Trigger Point massage and other basic modalities. Your session will be tailored to your individual preferences, which you may indicate to your massage therapist at the time of your session. Deep Tissue massage focuses on the deeper layers of muscle tissue. The purpose is to release the chronic patterns of tension in the body through slower strokes and deeper hand or finger pressure on the contracted or restricted areas of muscle, tendon and fascia. The term "Deep Tissue" is a general name for a variety of techniques that are often blended together during your massage. Deep Tissue techniques include massage modalities such as Neuromuscular Therapy, Myofascial Release, Cranial Structural Therapy, Sports Massage, trigger point massage and other massage techniques. These techniques also often include stretching, and often your therapist will suggest deep breathing to help your muscles release and to keep any discomfort to a minimum. The purpose of Deep Tissue massage is to "unstick" the fibers of a muscle while releasing deeply-held patters of tension and dysfunction. In addition Deep Tissue massage assists the removal of metabolic waste from the muscles and relaxes and soothes the muscles. It is both corrective and therapeutic. Deep Tissue massage is relaxing, but due to the very specific nature of the massage clients may experience some soreness during or after the massage. The massage therapists can tailor this massage to your individual needs. Each massage therapist has had advanced training in Deep Tissue techniques and will ask you during the massage where you have areas of tension or pain and how you feel about the pressure used during your massage. If at any time you wish to have the therapist use less pressure you should let her know. While the Deep Tissue techniques may cause minor discomfort, the treatment should not be extremely painful. Do not hesitate to tell your therapist if you wish to have her use less pressure. If you do experience soreness after your Deep Tissue massage, you should put an ice pack on the area of tenderness for 10 minutes. If the soreness persists, repeat for 10 minutes after taking a 10 minute break in between icings. This can be repeated as necessary during the following 24 hours. Will I be able to relax during Deep Tissue massage? Many people want to relax during their massage, but also to have specific areas of tension released. We call this type of massage our "Basic Deep Tissue Massage." In this treatment we blend components of simple relaxation massage with some of the more specific massage to address trouble areas. You determine how much Deep Tissue treatment is right for you. How often should I get Deep Tissue massage? Sometimes after your Deep Tissue massage, your massage therapist will recommend follow up visits to further address the problem areas. Receiving a few Deep Tissue massage treatments in a period of a few weeks or a month will help your body to establish a new pattern of healthy and relaxed muscle function, rather than the previous pattern of tension and dysfunction. Many people choose to see a massage therapist bi-weekly or monthly to maintain the benefits of Deep Tissue massage and to help avoid future pain or risk of injury. Pregnancy Massage, also called Prenatal Massage or Maternity Massage is a wonderful treatment for the mother-to-be! This massage shares many of the goals of regular massage such as relaxation, increase in mobility, relief from sore muscles and joints, and a general feeling of well-being. Pregnancy massage is also specifically tailored to the unique needs of the pregnant woman and her changing body. Our therapists are specifically trained in the advanced modality of Pregnancy Massage, and adjust the technique, pressure, and positioning accordingly. Our office offers a comfortable quiet environment and we make sure the treatment is all about the mom! Many women are concerned about positioning during their pregnancy massage. We offer a special table designed specifically for Pregnancy Massage so that the mother may lie face down during her massage. The table has holes cut for the breasts and abdomen with adjustable support for the abdomen so the low back is not stressed. In addition we use pillows and bolsters when necessary to provide the highest level of comfort. Because of the tremendous physical and hormonal changes that occur in the expectant mother, we generally do not recommend any massage during the first trimester. The second and third trimesters are wonderful times to experience prenatal massage. An exception to this would be in the case of headaches or sinus problems. If the client is experiencing either of these conditions and is not able to find relief we recommend a half hour head and neck massage for relief. During the second and third trimesters many women choose to have massage every other week, or every week. This provides regular comfort and support as your body changes. We offer package pricing if you would like to receive massage regularly during your pregnancy. We also offer a session where your partner, birth-coach, or a family member may attend and learn massage techniques they may use during the delivery to make you more comfortable. Massage during pregnancy is safe for most mothers. You should notify your therapist if you have any of the following conditions: heavy discharge, continued abdominal pain, diabetes, fever, rapid weight gain, high blood pressure, morning sickness, pre-eclampsia, or severe headaches. Some of these conditions are contraindicated for massage, and you may be required to get permission from your physician if any of these conditions exist. In addition, if you experience a high-risk pregnancy or have asthma, liver or renal conditions, heart disease, hypertension, or you are under 20 or over 40 you should consult your physician prior to scheduling. Amy is the owner/esthetician of SKIN STUDIO in Orlando, Florida. Helping you to reach your healthy skin potential is her passion. A former commercial actress, model and former Miss Ohio American. Amy has starred in national commercials for Choice Hotels, Geico, Florida's Natural Orange Juice, Seacoast Bank, Friendly's, Academy Sports and many more! Her life in the spotlight has helped her become the quirky, fun loving expert esthetician you love today. Our licensed, well-trained expert staff is dedicated to providing you with the highest level of care. For each service we provide we determine through consultation what your goals for treatment are and then custom tailor your treatment, product selection and recommendations to help achieve the results you seek. Prior to your appointment, please read our cancellation policy at the bottom of this page. Create an account including user name and password. Find an appointment time you like. After choosing an appointment you must pay with a credit card. If this step is skipped the system will not schedule your appointment. Check your e-mail for a confirmation of your appointment, and another welcoming you and confirming your user name and password. Be sure to check your spam filter if you do not get a confirmation e-mail, or call us at (407) 844.8337. You may also check your appointment on the online scheduling page by following the "My Info" tab at the top right of the screen, and then the "My Schedule" tab. At this time not all types of appointments may be scheduled online. If you wish to schedule an appointment not listed, please call 407.844.8337 to schedule. Be sure to use the "Appointments" tab when scheduling. For other purchases such as gift certificates, use the "Online Store" tab, then choose "Gift Certificate". Skin Studio will charge full price for any scheduled appointment if less than 24 hours notice is given for cancellation or in case of client "no-show" or late arrival. Please be on time as appointment is forfeited 15 minutes past scheduled time. 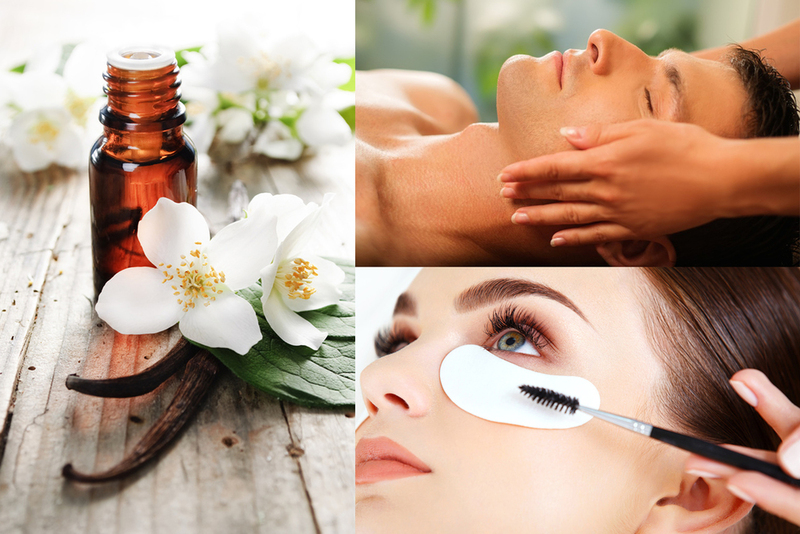 Convenient to downtown Orlando and much of central florida, Skin Studio offers professional and expert skin care and massage therapy on a personal and relatable level. Our licensed Estheticians are dedicated to providing you with the highest level of care. For each service they will determine through consultation what your goals for treatment are and then custom tailor your treatment, product selection and recommendations to help achieve the results you seek. Visit us often to learn about specials and events and keep up with the latest trends in our skinblog. Join us on Facebook to hear about exclusive specials. We look forward to helping you achieve and maintain healthy and radiant skin! Follow Skin Studio - Amy Runyan's board skin studio on Pinterest.